Messages not sending? It may be time to top-up your credits. Here's how. Our pricing reflects our values: simplicity and transparency. We charge on a per-credit basis, and allow you to purchase credits in packages as you need them. A credit is equal to any message sent or received, and we provide 1,000 complimentary credits at sign-up to encourage you to test the flows you design. Once you've used your credits, you'll need to top up to continue sending messages. Your remaining credits and the amount of credits you've used will be displayed on your account page. 1. Click the link to your account page in the top right corner of the site, then click the "Add Credits" button on the right side of the screen. 2. Select the bundle that best suits the scale of your deployment. If you're unsure how many credits you'll need, we can help you decide on a package. 3. Input your billing information. 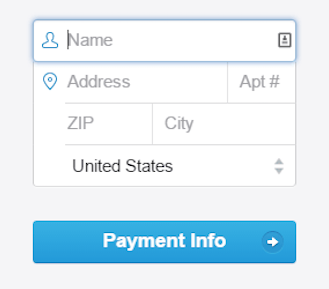 We also process payments via bank transfer - you can use the support widget to request an invoice. Please note that credit bundles expire 1 year after purchase. You can see your entire credit history by entering your account page then clicking on the credits section. There, you'll find information on when you purchased a bundle, how many credits you've used and how many are remaining in the bundle, and the exact expiration date. Questions? Send us a message via the support widget in the bottom right corner of your browser.